Obama's or Romney's Foreign Policy: Does it Matter Who Wins ? A lot of people have suggested that the Obama foreign policy is not that much different than Bush term two's foreign policy, that Bush term one, invasion of Iraq, was somewhat of an aberration, and in fact it really doesn't make that much difference who's president, because you get the Pentagon, you have the military-industrial-security complex, a whole whack of foreign-policy professionals, and the presidents kind of go along with their opinion. So does it really matter whether it's President Obama, a President Romney, when it comes to the next four years and U.S. foreign policy? Now joining us to talk about all of this is Lawrence Wilkerson. Larry is a retired colonel. He was the former chief of staff to U.S. Secretary of State Colin Powell. He's currently an adjunct professor of government at the College of William & Mary. He's a regular contributor to The Real News Network. Thanks for joining us. JAY: So does it matter whether it's Obama or Romney? We haven't seen a heck of a lot of difference, I think, between Obama and Bush term two, as I said. WILKERSON: There was a marvellous consistency to U.S. security and foreign policy over the period from, say, 1947 to the present, aberration being George W. Bush in 2001. But to say as I've said before—and you know this, Paul—that there would be no difference, really, in terms of that policy, regardless of who's elected, has begun to take on a new tone and tint, if you will, of late. And there are basically two reasons for that. One is the fact that I don't know what Mitt Romney thinks. I simply do not know what he thinks, because he said everything from A to Z from the primaries to now, the general election. And while that's explicable in terms of the extremism in the Republican Party and what one has to do to cater to that extremism in the primaries in order to get to the general election, it's not entirely explicable. I really do not know where Mitt Romney stands. Then the second issue is the people he's arrayed around him. Many of these people are the neoconservatives, like John Bolton, for example, whom I have seen before. And I see them singing off essentially the same sheet of music they sang from in 2002 and early 2003 when they essentially took an inexperienced president and marched him into war with Iraq—one of the most disastrous decisions the U.S. has made in the post-World War II era. So I see these same people around him, and I see an inexperienced man in terms of security and foreign policy, and I see them being able to manipulate him much the same way these neoconservatives—indeed, many of them the same people—manipulated George W. Bush. So I have to revise my views about whether or not I believe Barack Obama, now with four years of experience, or Mitt Romney would be the same, roughly, with regard to foreign and security policy. I do think Barack Obama would probably promise a better decision-maker in that regard. JAY: Now, it's not to say that Barack Obama hasn't carried on and even extended some of Bush's policies, his drone attacks and other such things if anything are setting all new precedents for the kind of behavior that the U.S. does abroad. Doesn't that concern you? WILKERSON: It does. And I think you put your finger on what is the most concerning aspect of his security policy overseas, and that is the drone attacks. We are creating far more terrorists, potentially, in the future than we are killing with those drone attacks, not to mention the fact that we were crossing whole chasms of international law, even of domestic law, as we do this and do it rather cavalierly. But the other aspects of his security policy domestically bother me too, everything from the Patriot Act to the FISA Amendments Act to the national security letters, to his unprecedented prosecution of whistleblowers. All of that bothers me. But when it comes to Mitt Romney, I don't see a relaxation of any of those things. Indeed, from his rhetoric [inaud.] is an even more ardent pursuer of those things. JAY: So you're not a great admirer of President Obama's foreign policy, but your point is you think Romney and the kind of people around him would be significantly worse. WILKERSON: There are people who are—as I understand it, they range the gamut. Now, there's a gentleman who is president of Washington College over in Chesterton, Maryland, and he was the second director of policy planning for Colin Powell when I was there. So I know Mitchell Reiss quite well. Mitchell is a moderate in the sense that he takes the middle road, usually, in U.S. national security and foreign policy. But Mitchell was an advocate for the delisting of the MEK, the Mujahedin-e-Khalq, the terrorist group—still a terrorist group, in my mind—from Iran. So you take someone like Mitchell Reiss, who normally is a person with whom I find a great deal of agreement with regard to security and foreign policy, and here he is advocating for the delisting of the MEK, which I think was a terrible move in all respects, because terrible move in the way the Iranians perceived it, and a terrible move because it basically acknowledged a terrorist group is now not a terrorist group anymore, and they clearly certainly still are. So, I mean, you actually see people like that who you would normally cheer being in an administration, who've taken on a tone and tint that's very different from what I consider to be sound and rational national security policy. JAY: And to what extent do you think people like Karl Rove, even Cheney, Kyl, some of the—Senator Kyl—some of those people that were very much part of that foreign-policy cabal, how much are they going to have to say if there's a Romney administration? WILKERSON: I don't know, Paul. That—I'm concerned about that, as I said before. But my biggest concern stems from at least I don't—my lack of knowledge. I simply don't know who's going to influence Mitt Romney, because I don't know who Mitt Romney is. I think you've heard me say this before. I was searching for a Republican candidate for whom I could vote. I would vote for Mitt Romney at the drop of a hat, and therefore feel good about my political party's candidate once again, if I thought I knew where he stood and I had a reasonable approximation of that stand being [roughly congruent]. I don't even know where Mitt Romney stands, so how can I make a decision to vote for Mitt Romney? I can't. JAY: Alright. Thanks for joining us, Larry. Unsatisfied in "crippling" Iran with sanctions, the US looks to be set for active operations there - and already has an in: a group called the Mujahedin-e Khalq, which in the near future could become the Persian equivalent of the Free Syrian Army. ­On September 21, US Secretary of State Hillary Rodham Clinton passed Public Notice 8050, de-listing the Mujahedin-e Khalq (MEK) from the State Department’s Specially Designated Global Terrorist list, effective September 28. What is MEK? Mujahedin-e Khalq is an Iranian Islamic militant organization in exile that advocates the overthrow of the Islamic Republic of Iran. 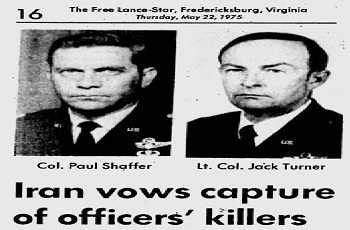 Since its inception in 1965 in Iran, the group conducted assassinations of US military personnel and civilians working in Iran in the 1970s, jubilantly supported the takeover of the US embassy in Tehran in 1979 and opposed the release of American personnel, calling for their execution instead, fought against the Islamic Republic together with Saddam Hussein during the Iraq-Iran War (1980-1988) and set up headquarters in Iraq at Camp Ashraf. 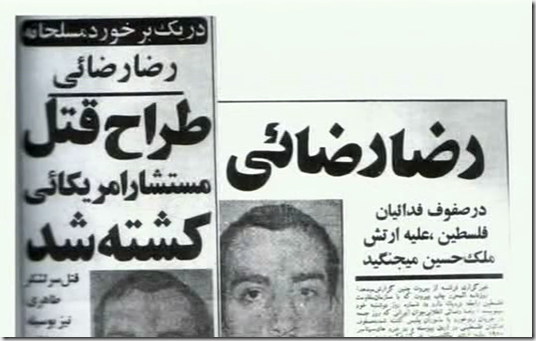 In recent years, according to various sources including NBC, MEK teamed up with the Israeli secret service to kill Iranian nuclear scientists. NBC reported that US officials confirmed that “the Obama administration is aware of the assassination campaign but has no direct involvement”. In 1994, the State Department sent a damning 41-page report to Congress on why the MEK is a terrorist organization; that designation was enacted in 1997. 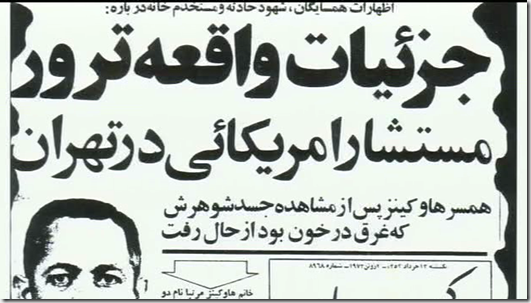 The report concluded: “It is no coincidence that the only government in the world that supports the Mujahedin politically and financially is the totalitarian regime of Saddam Hussein.” Well, the MEK’s mission to overthrow Iran’s leadership has not changed since, but the US agenda has: In a vertiginous about-face, Washington became the powerful protector of the Mujahedin-e Khalq. Over the past few years, a formidable fundraising operation and campaign to de-list MEK from the Specially Designated Global Terrorist register gathered some high-caliber US supporters including General James Jones, President Obama's National Security Advisor from 2009 to 2010; Bill Richardson, Energy Secretary and UN ambassador in the Clinton administration and Obama's Special Envoy to North Korea; Tom Ridge, the first Secretary of Homeland Security; General Wesley Clark, former supreme commander of NATO; Louis Freeh, former director of the FBI; three former directors of the CIA – Michael Hayden, James Woolsey and Porter Goss; Rudolph Giuliani, former Mayor of New York City; former UN Ambassador John Bolton; General Hugh Shelton, former Chair of the Joint Chiefs of Staff; Mary Robinson, UN High Commissioner for Human Rights from 1997 to 2002; and many others. Top Washington lawyers and lobbyists made the case for the terrorist group as well: Akin Gump, Strauss Hauer & Feld, Patton Boggs and others. Robert Strauss, of the firm of the same name, was US Ambassador to the Soviet Union during the critical months of August 2, 1991, through December 26, 1991. A senior member of the firm Tobi Gati was also head of the intelligence branch of the US State Department. When speaking about terrorist groups, one might think of MEK as a ragtag bunch of cutthroats in shreds and tatters, confined to an unsanitary tent city. The truth is nothing of the sort. Watch this report by CNN’s Michael Ware dating back to 2007: You will see a marching army in crisp brand-new white-and-blue and khaki uniforms, entering a spacious parade ground framed by sculptures of lions. Camp Ashraf itself is one of the best-kept military facilities in Iraq and a sprawling city of 4,000 people, with shopping centers and hospitals, gardens, monuments, fountains and illuminations quite unexpected in the war-torn deserts of Iraq. The MEK is also armed with more than 2,000 well-maintained tanks, artillery, anti-aircraft guns and armored personnel carriers. Its supplies are guarded by US military police, and the camp itself is guarded by the American military. Indeed, “The coalition remains deeply committed to the security and rights of protected people of Ashraf,” US Major General Gardner said, according to a Headquarters Multinational Force Iraq document dated March 11, 2006. Michael Ware calls the MEK “the US’ officially protected terrorists.” Another film of Australian origin shows Camp Ashraf’s own parliament and hundreds of tanks on the camp’s parade ground. ‘Totalitarian cult’ is indeed the most frequent label applied to the MEK by people who come in contact with the group. And American support for MEK is not limited to military protection. Seymour Hersh, in his New Yorker piece“Our Men in Iran?” revealed that beginning in 2005, MEK fighters were trained in Nevada by the Joint Special Operations Command (JSOC). Now is the time for Russia and the world community to take active political measures preventing the United States from launching another proxy war in the Middle East. The MEK is much better trained and prepared for war than the Syrian rebels were at the beginning of the conflict, or even today. The MEK has all the necessary capabilities to become the military arm of an American attack against Iran. This time – unlike in Syria – the world should not ignore the march to war, and must take steps to prevent it from happening again.